Image: How Effective is Ayurvedic medicine? Ayurvedic medicine is an ancient Indian system of medicine which began about 5,000 years ago. It is not just one treatment. It is a way of diagnosing illness and using a wide range of natural and holistic treatments and techniques for cure. 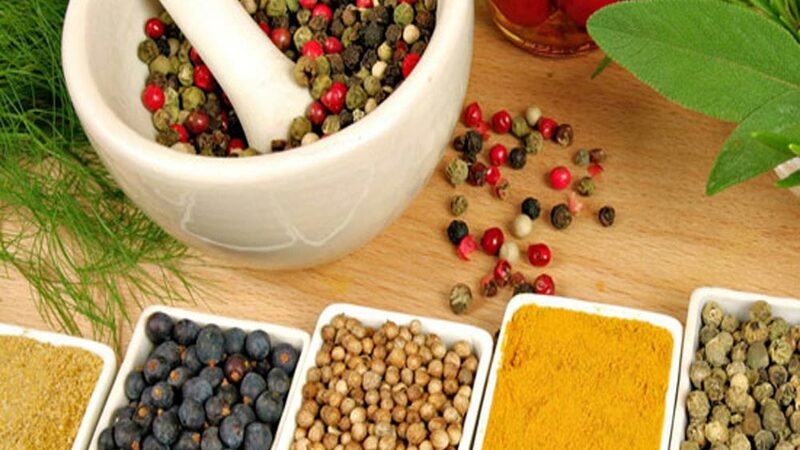 Traditional Indian Ayurvedic herbal products uses complex treatment approaches, including manual therapies, lifestyle and nutritional advice, dietary supplements, medication, yoga, and purification techniques. As many patients from all over the world turn to ayurveda and other forms of treatment after trying out allopathy, the efficacy of this ancient form of Indian system of medicine is on test. "Ayurveda is not an alternative medicine anymore in the U.S., but complementary", Daniel E Furst, Director of Clinical Research at the David Geffen School of Medince at UCLA. A leading website of the USA http://www.cancer.org reports that although Ayurveda has been largely untested by Western researchers, there is a growing interest in integrating some parts of the system into modern medical practice. In fact, a few of the herbs and substances have been purified into drugs that are used (along with other medicines) to treat cancer. Early studies suggest that other parts of Ayurveda may have potential therapeutic value. The National Cancer Institute (NCI) in the USA funded a series of laboratory studies to evaluate two Ayurvedic herbal remedies (called MAK-4 and MAK-5). The studies so far have shown some promise against tumors in rats and cancer cells. In a controlled clinical trial of cancer patients in India, researchers found an Ayurvedic herb mixture worked as well as a standard laxative for relieving constipation caused by pain relieving drugs. In 2 small controlled clinical trials, an herb used in Ayurveda was found to reduce symptoms in patients with Parkinson’s disease. During a 1993 study in the USA researchers evaluated the effects of pancha karma on risk factors for heart disease in thirty-one adults. Patients who participated in a multimodal program were found to have an 80 percent increase in dilation capacity of their circulatory system three months after the treatment, indicating improved function. Total cholesterol was reduced in all the participants, with a reduced measure of free radical damage and significantly reduced anxiety. Among the most recent demonstration projects is one funded by NCCAM and carried out by Dr. David Simon at the Sharp Institute for Human Potential and MindBody Medicine in San Diego. This study compared the effects of an Ayurvedic health promotion program with the effects of a Western program among ninety healthy individuals. Participants were randomized to one of three groups: a group that received no treatment; one that received Ayurvedic treatment in the form of meditation, Ayurvedic diet, and yoga; and a group that received a Western program of Jacobsen progressive relaxation training, a low-fat, low-salt diet, and aerobic exercise. Eighty-eight subjects completed the one-year trial.In both treatment groups, health-related quality of life was found to be improved, with the Ayurvedic group showing greater improvement than the Western group in health perceptions, and in decreased use of Western prescription medications. A combination of turmeric and neem (Azadirachta indica) was found by Dr. Victor Charles of the Medical and Cancer Research and Treatment Centre of Nagercoil, India, in a 1992 study of 814 subjects, to be useful in treating scabies, with a 97 percent rate of cure within three to fifteen days of treatment. Such herbal preparations commonly have many fewer undesirable side effects than the pharmacological compounds that are used to treat parasites. During a 1994 study in India by Drs. Dwivedi and Agourwal, a bark preparation of Terminalia Arjuna was evaluated in fifteen patients with stable and unstable angina. Among patients with stable angina there was a 50 percent reduction in anginal episodes. At the Southern Illinois University School of Medicine, Dr. Bala Manyam evaluated the potential of a powdered preparation of the Ayurvedic herb Mucuna pruriens in the treatment of Parkinson's disease. During the twelve-week 1997 study, patients showed significant improvement. Only some reported mild side effects. Ayurveda has principles and methodologies proved on scientific basis. It is not regarded as science by many as it did not develop inside any lab. But Ayurveda also has its branches like any other sciences and is a medicinal practice that is holistic and completely developed and practised since long in India.